Anthony Joshua-Eric Molina a done deal for Dec 10? Eric Molina has been the frontrunner to challenge reigning IBF heavyweight champ Anthony Joshua for a few days now and fans will not be at all surprised to see the Mexican/American in the ring with Joshua in Manchester on Dec 10. Yet so far there has still been no official confirmation from Joshua promoter Eddie Hearn. Yet the fight is up on BoxRec and it seems we will see Molina tackling the 17-0(17) star next. What kind of a fight will it be? Molina, still judged my a number of people by the loss he suffered to Chris Arreola over four years ago, is sick of telling people he has improved since then, when he was inexperienced and it showed. Stopped in the 1st-round (after stunning Arreola himself with a good shot to the head) Molina has had a tough time making people forget about this defeat, but is Molina, 25-3(19) a different fighter today? The 34 year-old says this is indeed the case, and in his recent fights – a stoppage loss to Deontay Wilder and a stoppage win over Tomasz Adamek – it sure looked like it. Molina showed real heart in his challenge of WBC king Wilder last June, even wobbling the KO star in the early going. And against Adamek, in travelling to Poland to fight, Molina scored a noteworthy win with his 10th-round KO in April of this year. Molina is hugely motivated for the Joshua fight and he has often said it is his dream (or one of them) to box in England. Molina can, at the very least, be relied upon to give it his all on Dec 10. 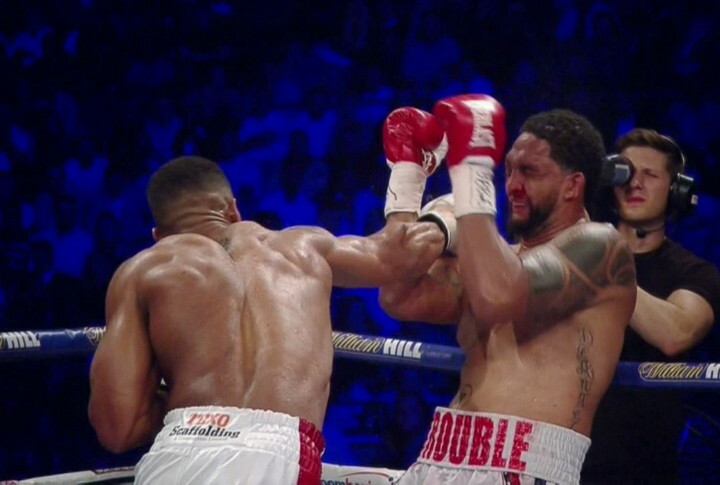 And if Molina tags Joshua – who has still to be really tested by an experienced heavyweight – the way he tagged Wilder, who knows? It only takes one punch, the big men of the spot are often fond of saying and “Drummer Boy” Molina is aiming to make sure he lands with a career-changing, indeed, life-changing, punch in Manchester. Could the upcoming fight prove to be the hardest yet in the fascinating career of AJ? Prediction: this one will be a shoot-out, and a lot of fun, for however long it lasts. You are here: Home / Boxing News / Anthony Joshua-Eric Molina a done deal for Dec 10?